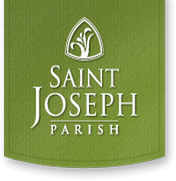 St. Joseph Parish-Grafton WI | St. Joseph Parish-All Are Welcome! Click here to view the Holy Week Prayer and Liturgy Schedule. Click here to download the 2019 Time and Talent Brochure. The Parish Office will close at Noon on Good Friday, April 19, and will be closed on Easter Sunday. Monday-Friday from 8:00 a.m. to 4:30 p.m.
rooted in the Catholic tradition, can make a difference in your life – and in the lives of others! Pastoral Ponderings . . .
A blessed Passion (Palm) Sunday everyone – ready or not – we have begun the journey. I have often thought about (in my sci-fi mind) what would be the reaction of an alien coming to earth today and being assigned the task of researching and studying the effect of ritual religion on the human life form. What effect does religion play in the human psyche and how is age old ritual expressed through current methods. Given the didactic nature of today, Palm Sunday, with its joyful entry into the city as king and then that same king enthroned on a cross to die would set the stage for confusion and conflict in any intelligent being. So then what is this all about, the King of the Jews amid shouts of “Hosanna!” and then killed with thieves while the insurrectionist is set free? And what of the Passover meal celebrated with friends who love their master and yet one betrays his love for 30 pieces of silver. And an indecisive Roman Leader who tries to wash his hands of the whole thing. And a tomb that held the murdered King now found empty by the women who mourned him at the cross. It is all about our Passover Meal – servants feet washed by servants, servants being servant to the poor and a servant broken and shared as bread and wine. Then we have the audacity to adore the very cross that he was killed on and to share the story of his betrayal and death, one more time. We realize that it was only love that held him to the tree. In the dark, in the cold night air with just a single fire to keep us warm and one candle to light the way. The light is shared, the cold water of the tomb made a holy baptistery and the bread and wine of the Passover broken and shared. To do it all again in the morning – the whole story of Crucified King, Risen Servant, and Broken Body and Blood outpoured so that we may serve and be his body once again. So what would that alien think of us? Join us in the most Holy of all Weeks. Read more about what is happening in our parish in this week’s Bulletin.